What is it that can make a man so sure of his convictions that he is able to endure years in jail, decades in fact, and upon his release live a life that seemingly forgives his jailers and the people who commanded them? Nelson Mandela was a victim of apartheid in South Africa sentenced to life in prison for fighting against a government that had minimized the majority of its population simply because it was black. After 27 years in prison on Robben Island Mandela was released and four short years later elected president of South Africa. A shocking turn of events. Mandela worked to build a united nation when so many who had been brutally oppressed for so long really wanted revenge he insisted upon a process of reconciliation that in large part brought Mandela the Nobel Peace Prize in 1993. I would suggest that hating your enemies is pretty easy, loving your friends often easier but truly forgiving your enemies – working to draw them in as friends is truly an ideal to shoot for. 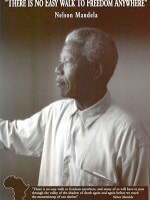 Mandela provides us with much to consider as we explore our relationships with those who may even want to kill us. While Hollywood is certainly capable of stretching the truth – the 2009 movie “Invictus” starring Morgan Freeman as Mandela presents the early efforts of Mandela to bring a broken country together through sport. A few thoughts from Nelson Mandela to ponder in our interactions with others and efforts to lead, first our own lives and then perhaps as we strive to provide leadership with others.